RavenDB: Safe by default design – it works! One of the things that I really tried to do with RavenDB is to make sure that it is safe by default, which means that it will automatically detect common errors and warn you about it. 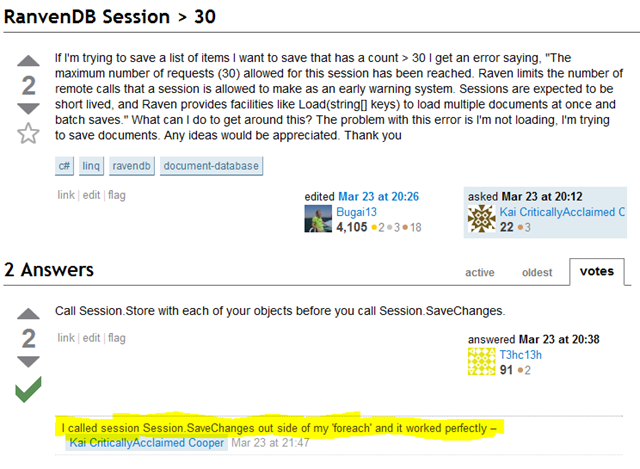 Today I run into the following Stack Overflow question. What can I say, it works!